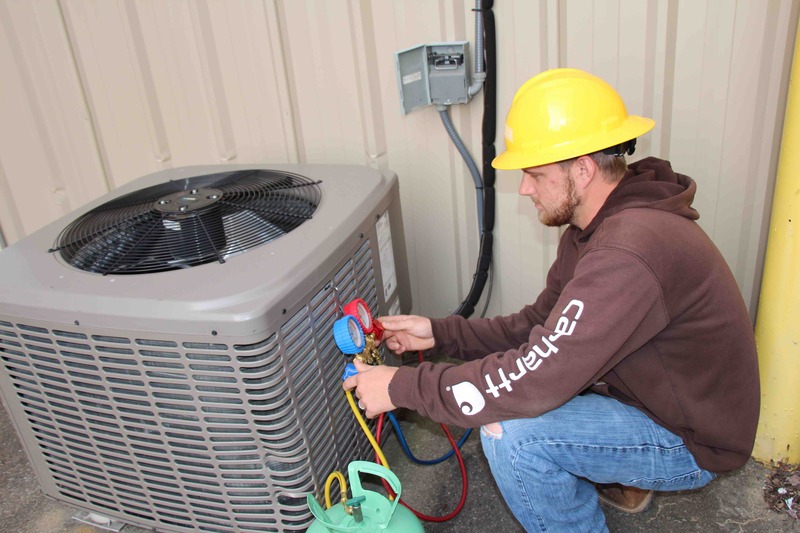 [GHENT, W.Va.] New River Community and Technical is offering HVAC training in a 20-week class focusing on basic heating, air conditioning and refrigeration systems starting October 23. Classes will be held on Tuesdays, Wednesdays and Thursdays from 4 to 8 p.m. at the Advanced Technology Center, Ghent. Students will learn about the start-up and troubleshooting of commercial and residential units; the basics of how to charge and recover gas in systems; how to use HVAC test equipment and preventative system maintenance procedures. The program will be 240 hours in length. Upon successful completion, students will receive EPA certification and will have the opportunity to qualify as a Tech in Training. The cost for the class is $5,000, and preregistration is required by October 16. For more information visit www.newriver.edu/hvac. To register, contact Gloria Kincaid at 304-793-6101 or gkincaid@newriver.edu, Brian Sampson at 304-929-5009 orbsampson@newriver.edu, or Jeanne Stone at 304-8832469 or vstone@newriver.edu.